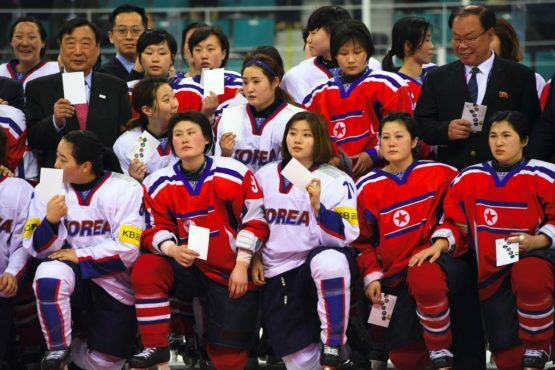 After a joint women’s ice hockey team at the 2018 Winter Games and a men’s handball team at the world championships, South and North Korea may now form a united field hockey team for men and women at the 2020 Tokyo Olympics. The plan was revealed on Friday by the International Hockey Federation who described the previous collaborations as positive examples of sport acting as a catalyst for peace. “The FIH has put together an action plan with the objective to get to the participation of a unified Korean hockey team for future FIH events, potentially for the Tokyo 2020 Olympic Games,” a statement released on Friday said. The statement added that build-up meetings to lay the groundwork had already taken place. “A number of concrete proposals such as joint training camps or exchange programmes were made, with both Hockey National Associations stating their intention to consult their respective National Olympic Committees and governments on this vision,” the FIH said.